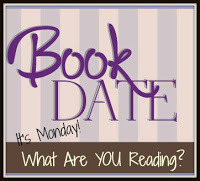 Literary Lindsey: It's Monday and I'm reading all the new releases! It's Monday and I'm reading all the new releases! Oh September, you were a terrible, horrible, no good, very bad month. But I'm trying to be hopeful about October. I have a giant stack of books that came in from the library and it is definitely the time of year to bake all the delicious things. This week, I read Escaping Peril. My son and I are exchanging books each month, so he picked that one for me to read in September. 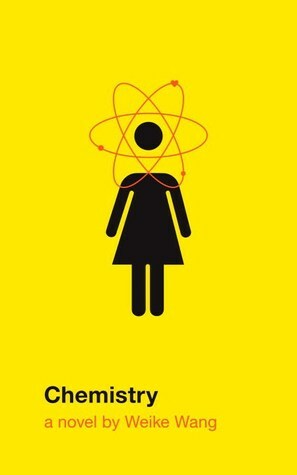 Then I jumped into the giant stack of library holds that came in all at once and read Chemistry and The Alice Network. Next up for me is The Seven Husbands of Evelyn Hugo. What are you reading this week? 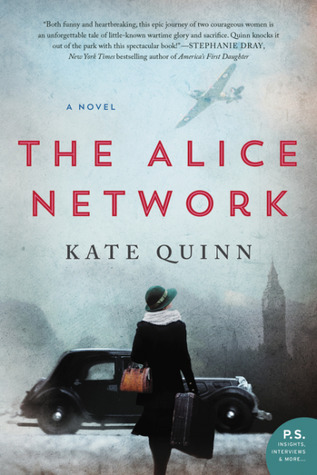 Love the cover for The Alice Network. It looks like a great read too. Hope you enjoy it. I like the idea of you and your son swapping books each month. It's a good way I bet of finding something you might not otherwise pick up. Have a good week. How was Chemistry? It's on my TBR list. Loved The Seven Husbands of Evelyn Hugo. A really fun story with a serious side. Both the books you read are new to me. Come see my week here. Happy reading! You've got a good start for October. Oooh...sounds like some great reading for you - all hot titles! I love that you and your son exchange books! The Alice Network has gotten so many great reviews. ENJOY all of your books and your week. It's Monday and I need to get organized! It's Monday and we're jumping into another week!